Orthopedic surgeries are a major contributor to the growing number of patients seeking medical treatment outside their home countries.. With the availability of best orthopedics doctors in india, the low cost for the superlative quality of treatment at par with Western standards, are together, encouraging a large number of patients to become medical tourists. The word Orthopedics is derived from two Greek words, ortho, that refers to straight and pais, that means a child. 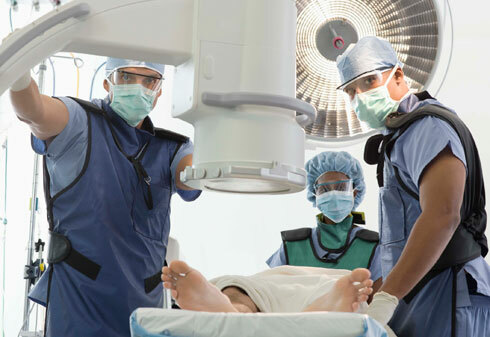 Orthopedic Surgery involves surgeries of the musculoskeletal system. In modern terminologies, orthopedics includes surgeries involving the bones and related connective tissues and nerves. In most colloquial terms, orthopedics is the surgery of the bones, joints, and ligaments of the human body. The most common treatments performed by orthopedists include musculoskeletal trauma, spine diseases, degenerative diseases, sports injuries, infections, tumors, and congenital disorders. Orthopedics is one of the major demands among medical tourists of India. With the growing awareness about the world-class orthopedics surgeries performed with high success rates, including Knee replacement, Arthroplasty or Computer Assisted Surgery for Joint Replacement (CASJR); Total Hip Replacement (THR) - also called a Hip Arthroplasty; and Bone Marrow Transplantation (BMT), India is fast becoming a global orthopedics destination well known for its affordability. India is well known for a host of orthopedic surgeries, some of which are the following. : This branch deals with the treatment of musculoskeletal problems in children. includes surgery of shoulder, wrist, ankle and knee, using a small incision in the skin known as keyhole. refers to surgical treatment of fractures and bone and joint disorders resulting from injury. India also offers high quality Swiss ‘AO’ systems in this segment. the correction of age-related spine disorders, birth defects or developmental disorders of the spine. relates to bone cancer patients and involves removal of the cancerous bone plus an amount of healthy bone surrounding it. refers to disorders that arise from wear and tear, injury or infections in joint cartilage. in case of problems such as bone infections, complicated fractures, implants and prosthetic infections, congenital abnormalities and polio, it restores the bones and joints.